We’ve been getting a lot of release information on Nier: Automata recently, and now we have a demo to look forward to before the end of the year. At PlayStation Experience 2016, Square Enix and Platinum Games set a release date for Nier: Automata, on March 7th, 2017. 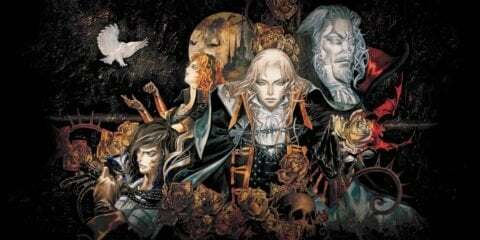 This release date has also been confirmed for both PlayStation 4 and PC. With this news came a new, action-focused trailer for the game, below. 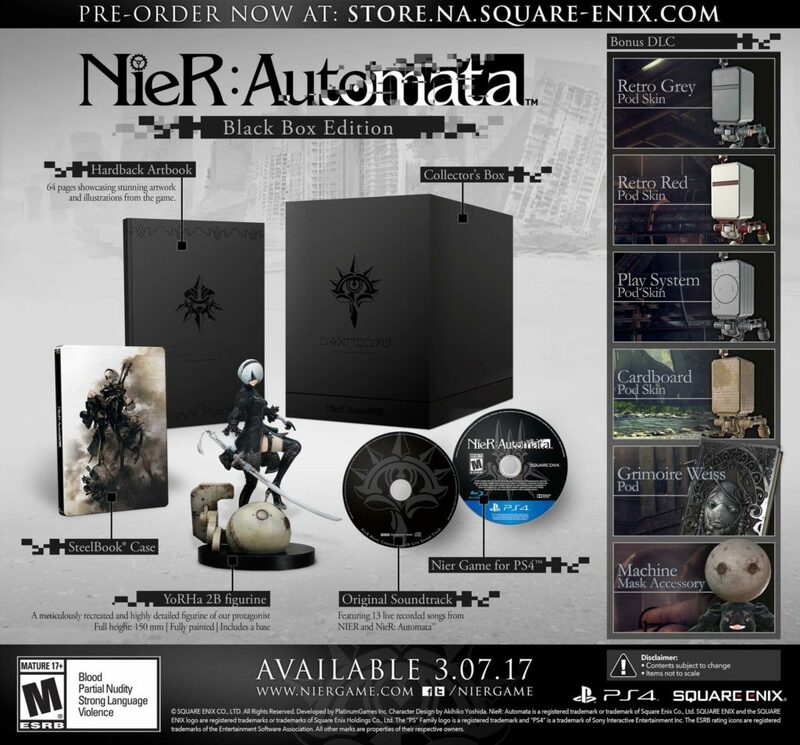 Alongside these announcements came news of a PlayStation 4 special Black Box Edition, with an impressive haul: The game, a YoRHa “2B” figurine, hardback 64-page artbook, exclusive steelbook case, soundtrack from Nier and Nier: Automata, and all Day One Edition digital content. The Day One Edition comes with Machine Mask Accessory, Grimoire Weiss Pod, Play System Pod Skin, Retro Grey Pod Skin, Retro Red Pod Skin, and Cardboard Pod Skin. And now, Square Enix has announced that the demo will be available on the PlayStation Network on December 22nd. “With an abandoned factory as the backdrop,” the press release states, “the demo follows android 2B’s mission to destroy a massive enemy weapon that lies within.” We’ll just have to wait until then to find out how this game feels– or maybe some of what it’s about.